So uh, today is Saturday right? I'm not two days late posting my Indian entry, that would be really bad of me.. Ahem. 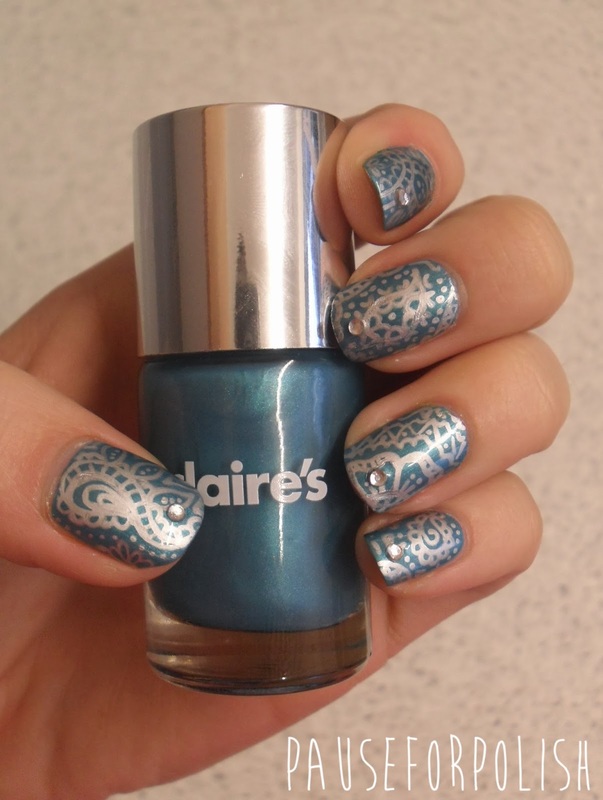 Anyway.. On with the mani! To create this i used a new polish from Claire's Accessories called Teal. 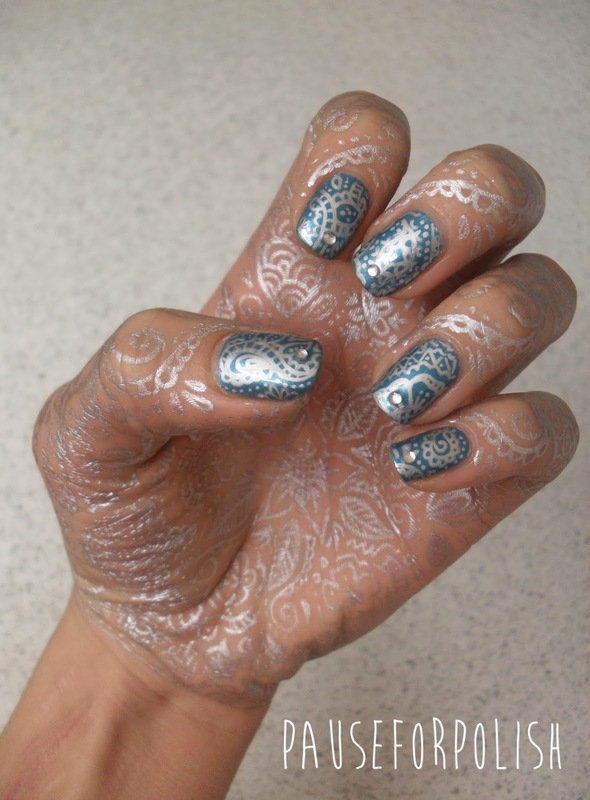 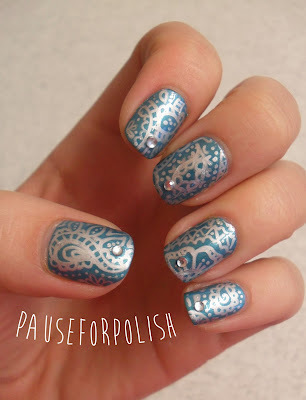 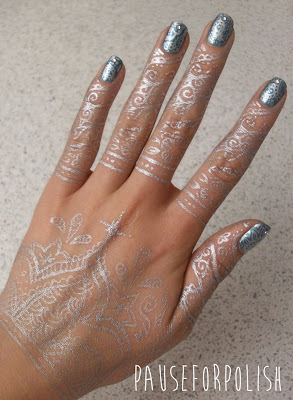 I then created the Indian inspired pattern using a silver gel pen and sealed with my trust Seche Vite top coat. 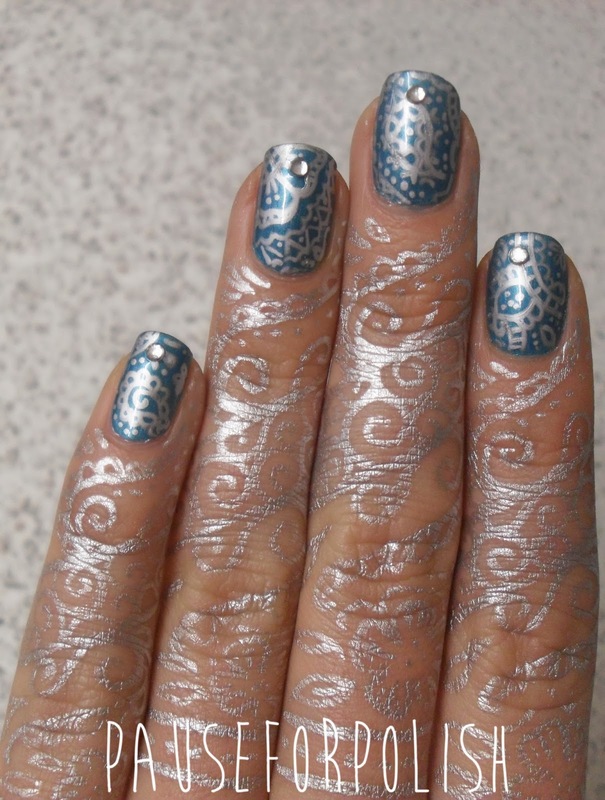 And then of course i didn't stop there, i ended up drawing a henna style pattern over the tops of my fingers. 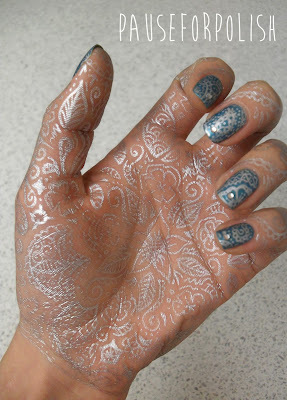 Then my palm.. and then well, everywhere! 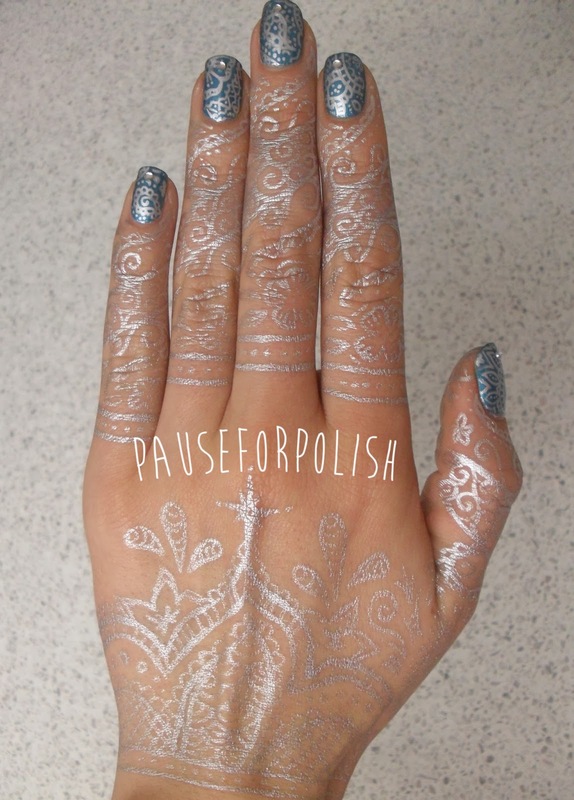 But less talk, more pictures!